Algerian women are magnificent east flowers. They are exotic and mysterious. Among other women of the Arab countries they differ in a special raciness, emotionally. In due time Algeria was the French colony, so many beautiful Algerian own mysterious charm French women. A significant part of Algeria's territory is located in the Saharan desert. Excess of the sun could not affect the appearance of the country's inhabitants. Algerian women have swarthy skin, dense and often curly black hair. Massive features, but not deprived graces, are harmoniously combined among themselves. Big dark eyes even on a dark face are excreted very expressively, they shine and express the sea of emotions: from tenderness to passion. The main population of Algeria is Arabs, and in the territory of the country lives also indigenous people Berbers. Like other Arab women, Algerian hold traditional views on beauty. They can watch not really quality of the manicure, but prefer bright and effective things. Many beautiful Algerian more time wear the national dress, but the country is not as strong demands to the external appearance of Arab women, it isn't obligatory for them to cover the face and the head. Brightness, festive attire - this is the main priority of Algerian women in creating their image. They may be happy to wear a simple and cheap jewelry, rather than attempting to get expensive jewelry. It is important that jewelry worn by an Algerian, was spectacular, volume, conspicuous to others. Appearance of the Algerian women is very different, on city streets there are women in national clothes, and even with the covered face. But there are a lot of women in bright, often provocative dresses. But it is necessary to remember that the Algerian women are very emotional, don't love the estimating views or statements and they can violently respond to a comment about the appearance. Exotic appearance, feminine, emotionally are not all main advantages of Algerians. They are also wonderful mother, caring full force of the family and children. The feminine is developed at the Algerian women very strongly, as well as ability to care independently for themselves. Algerian women ask money for favorite shopping at the men, but they also can earn necessary means. The most beautiful Algerian women who work as a model, actress, are girls not only with swarthy skin, but also with light. They are characterized by typical figure of Arab women -with lush hips, bust. Although Algerian women are more slender, have long arms and legs, the extended trunk. 14. Sabrina Ouazani (born 6 December 1988) is a French actress of Algerian descent. She is best known for her performance as Frida in Games of Love and Chance. 12. Sarah Tarchid (born 1992) - Miss Globe Algeria 2012, Miss Supranational Algeria 2013. She represented Algeria in Miss World Next Top Model 2012, where she was awarded the "Miss Africa" title. 10. Simone Lahbib (born 6 February 1965) is a Scottish actress, was born to a Scottish mother and a French Algerian father. 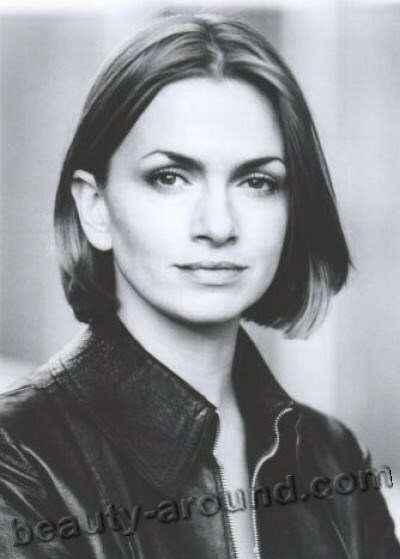 She is best known for her role Helen Stewart in the ITV1 drama Bad Girls. 9. Isabelle Adjani (born 27 June 1955) is a French film actress and singer. She was born to a German Catholic mother and an Algerian Kabyle father. She is one of the most acclaimed French actresses of all-time, having achieved international recognition for her acting skill. A five-time winner of the Cesar Award for Best Actress. 8. Amelia Zidane (born in Grenoble, France) is a French dancer and choreographer of belly-dance of Algerian descent. 4. Leila Bekhti ( born 6 March 1984) is a French film and television actress of Algerian descent. She is best known for her roles in Tout ce qui brille (2007) and Paris, je t'aime and Sheitan (2006).